Sheefish – What is it? Sheefish, What is it? Also known as “the tarpon of the north”. Sheefish are in the Whitefish family however instead of eating plankton Sheefish aggressively take baitfish. Sheefish spend a good portion of there life in the ocean just like Salmon. Also just like salmon they return to freshwater rivers to spawn. Alaskan Adventures is situated on the banks of the Holitna River and they see great returning runs of Sheefish. Only a few rivers in the north hold these fish and the Holitna is a great place to target then either with a fly or gear. The average Sheefish caught at the lodge is around 30-35inches. Last years big fish came in at 33lbs. These fish are hard fighting with some displaying aerial acrobatics just like tarpon. Some run deep and bulldog it out but either way, they pull hard and the guides at Alaskan Adventures know exactly where to find em. Adding to the variety of what not only you can catch at the lodge but also what you can eat. Sheefish are a great eating fish. If you live in the lower 48 probably the closest comparison in taste would be the Walleye. If you like eating Walleye you’re going to love eating Sheefish. So for a hard fishing fish, you didn’t know existed you need to take a trip to Alaska and visit us at Alaskan Adventures Lodge. We will not only get you on Salmon but you will experience Sheefish as well not only on your line but on your plate at the lodge or on the shores of the Holitna River. 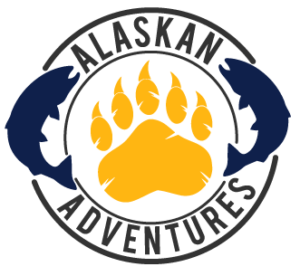 http://alaskan-adventures.com/wp-content/uploads/2019/01/image-18.jpg 2448 3264 alaskanadventures2018 http://alaskan-adventures.com/wp-content/uploads/2018/07/aa-1-300x276.png alaskanadventures20182019-03-18 21:35:392019-03-18 21:42:12Sheefish - What is it? For many years Rocky & Sharon McElveen have shown people some absolutely amazing adventures in the Alaskan Wilderness. Alaskan Adventures has hosted many incredible people over the years with the goal of “Restoration Through Recreation”. Over the years, that is exactly what they have achieved. It has now come time to pass the torch on to another that will carry on the same goal and tradition. Our goal at Alaskan Adventures is and will continue to be “Restoration through recreation”. One of the greatest things about Alaskan Adventure’s lodge is that your cell phone does not work. You may think it’s a pressing matter, but come week’s end, we guarantee you will have seen something special! Restoration through recreation starts with a focus on what is important in our lives. Having limited access eliminates many of the distractions in everyday life. Without the attention of a phone or computer screen, you are completely able to reconnect with the people around you, nature and yourself. We would like to invite all past guests to return at a 2019 special rate of $3750.00 per person for up to 8 guests. Over 8 guests, $3500.00 per person! As always, this includes your flight from Anchorage, food, lodging and guiding for a week. If interested please drop us a line as spots will fill up quickly! Dan Paull grew up on a farm on the shores of Lake Erie. If he wasn’t working the dirt growing vegetables he was on the big water as a first mate for several charter boats during the summer and guiding the rivers for Steelhead in the winter months. After many years of looking, Dan has finally found a place suitable to the standards he has learned. Alaskan Adventures on the Holitna River has all of that, and more. A big garden to grow fresh vegetables, big water for both fly and gear fishing, and all with a wonderful homestead feeling. 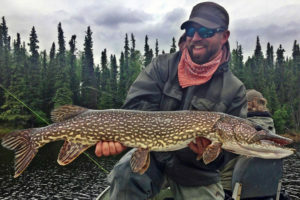 Dan would like to invite you and your family to come to experience the Alaskan wilderness and reconnect with yourself, friends and family.